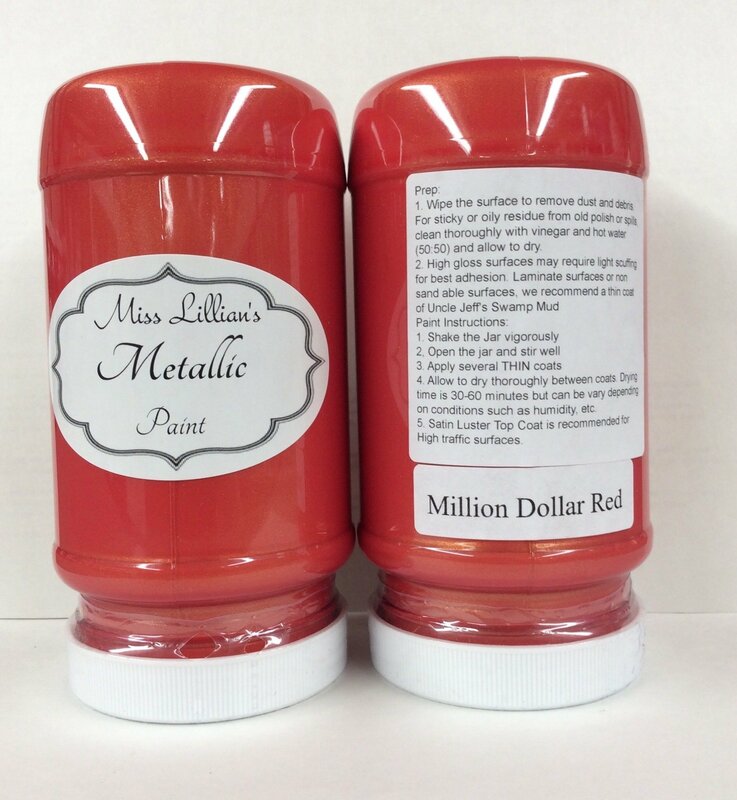 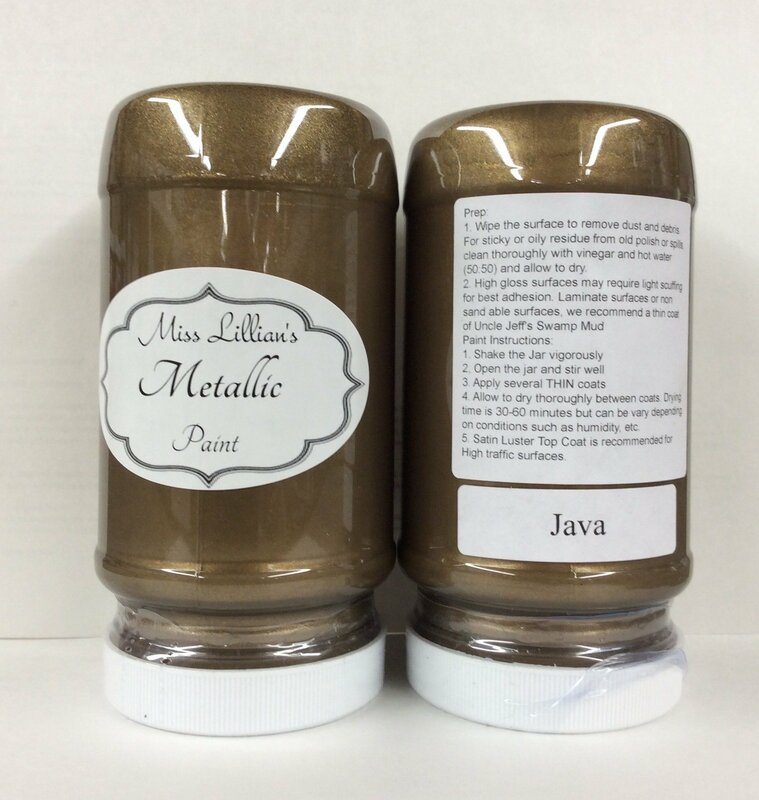 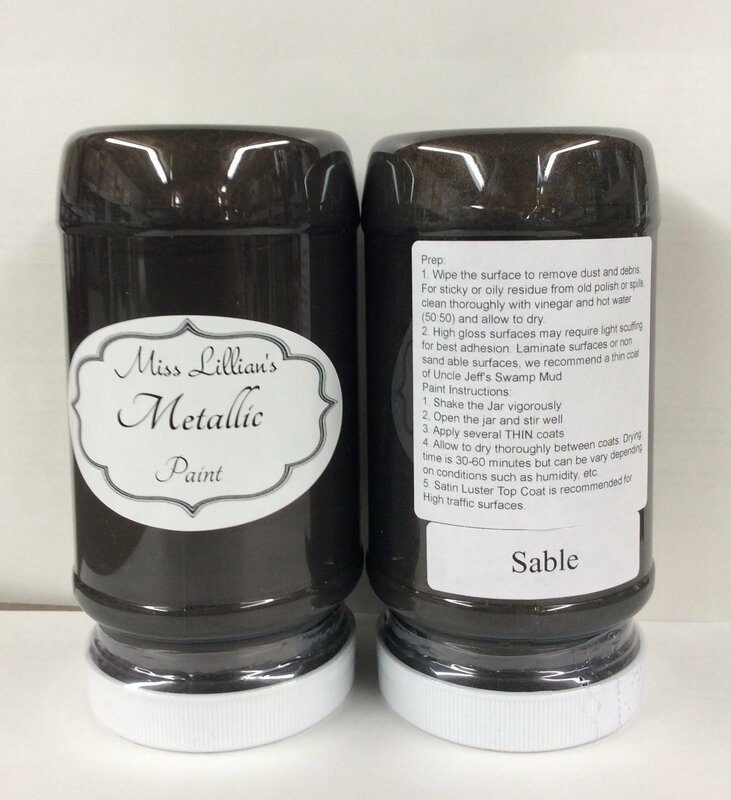 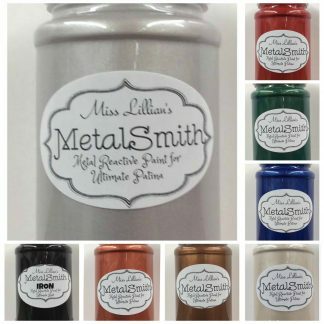 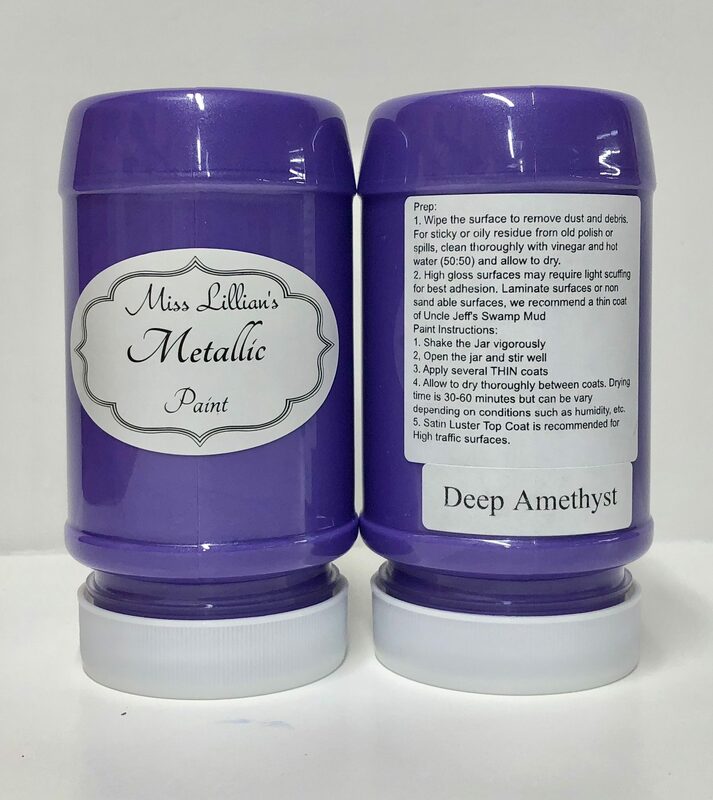 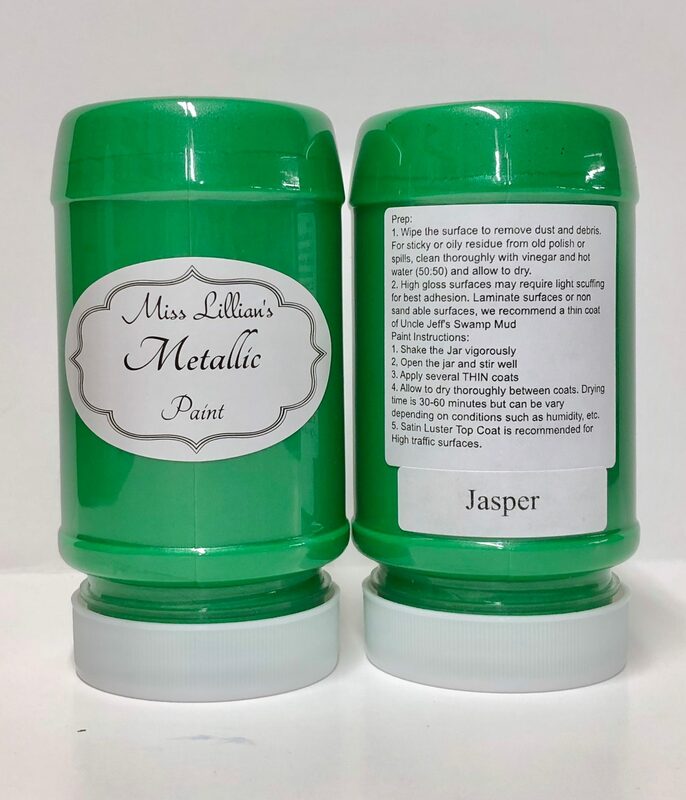 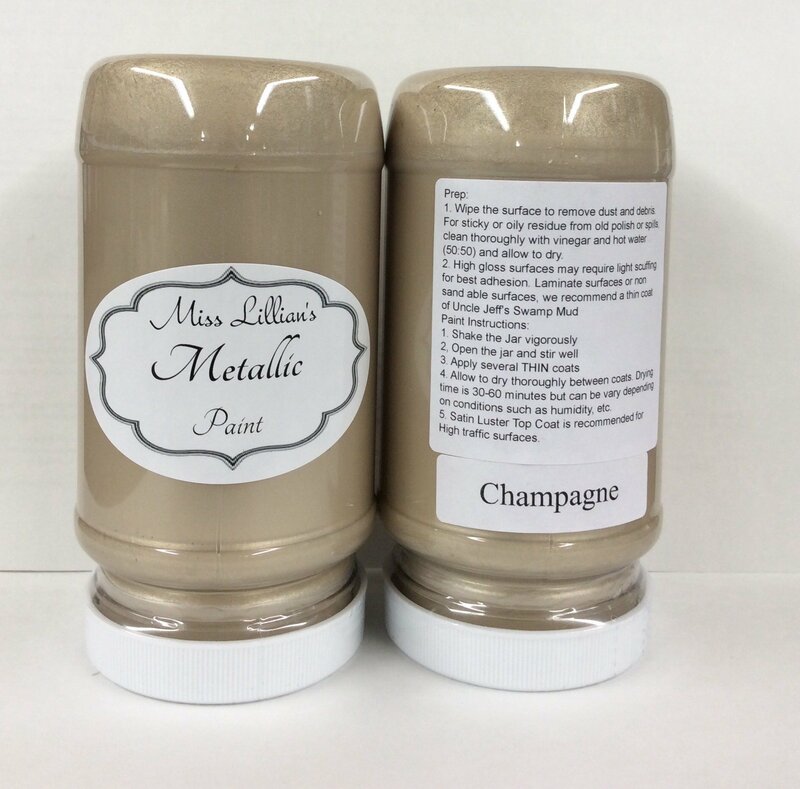 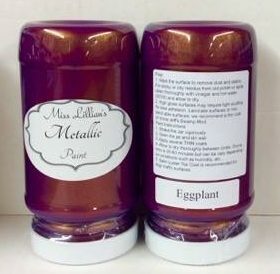 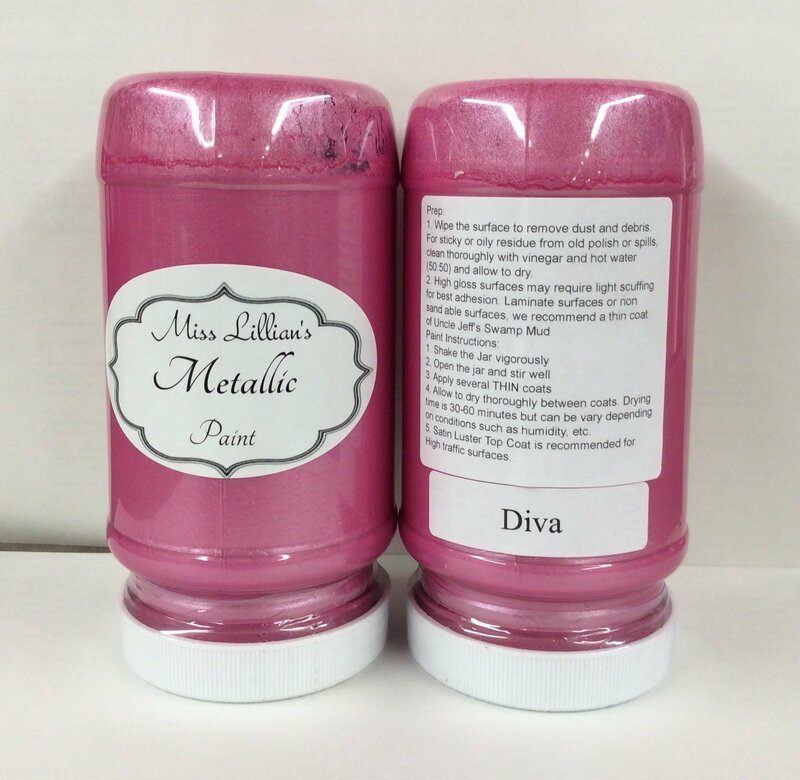 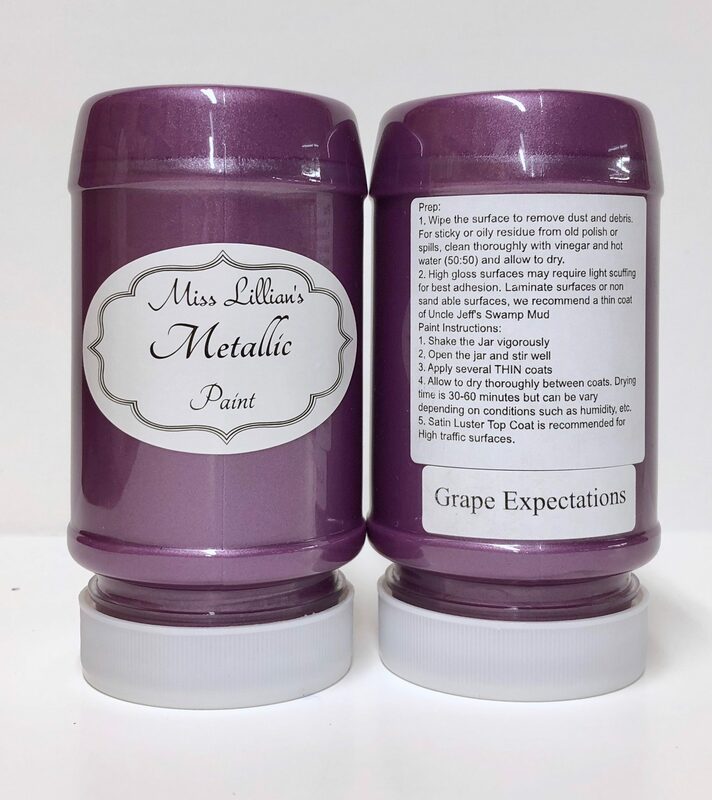 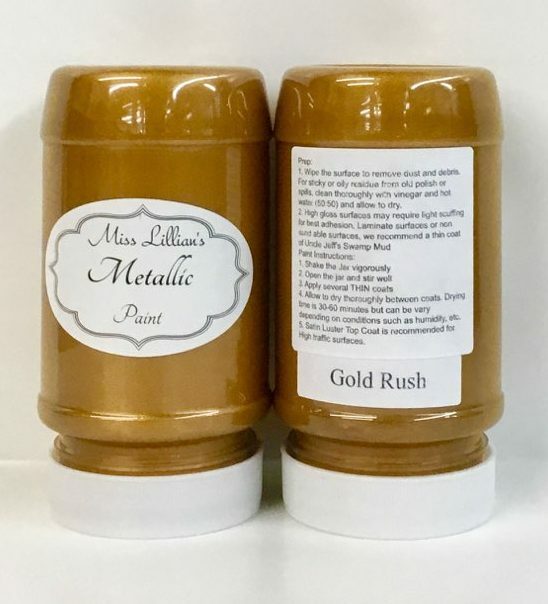 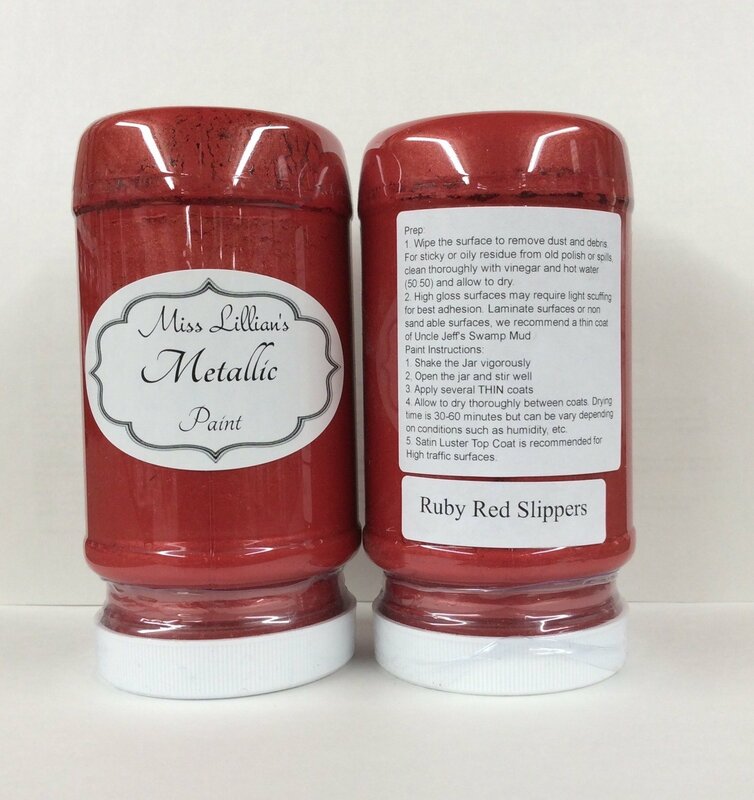 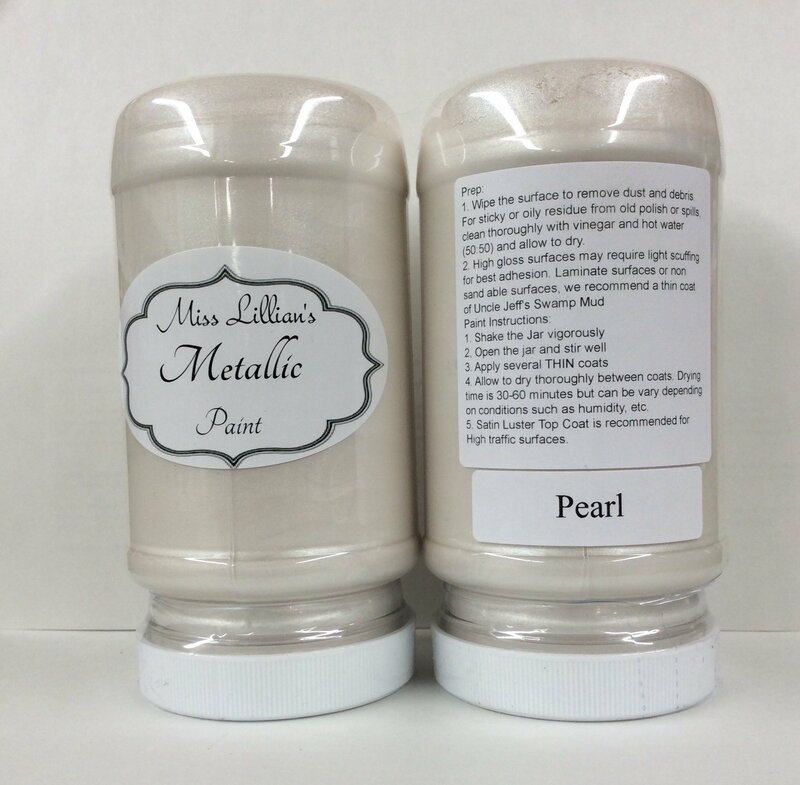 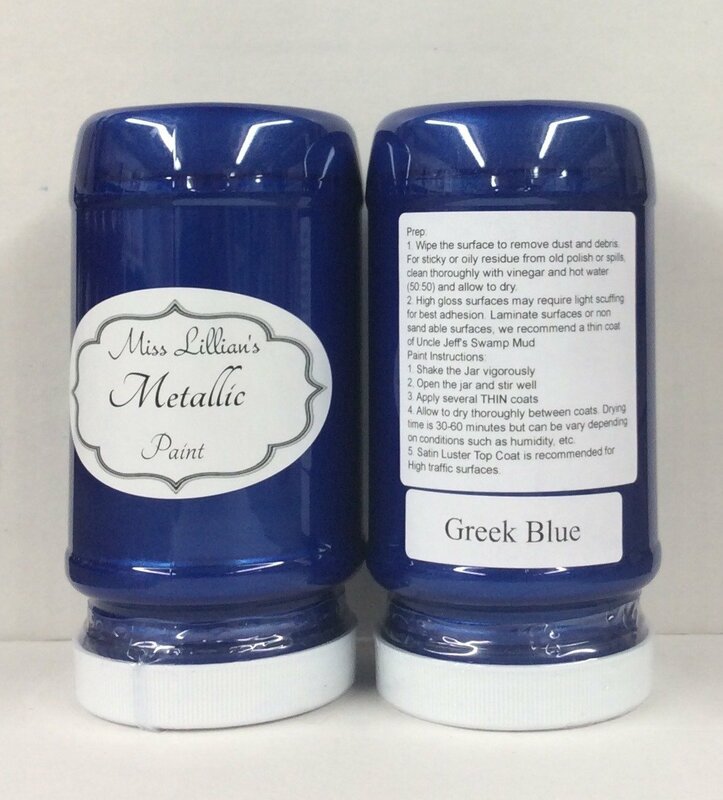 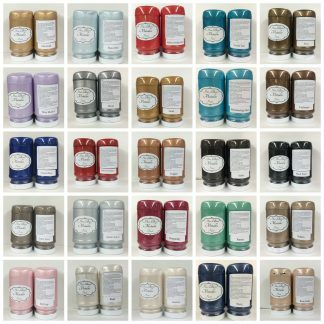 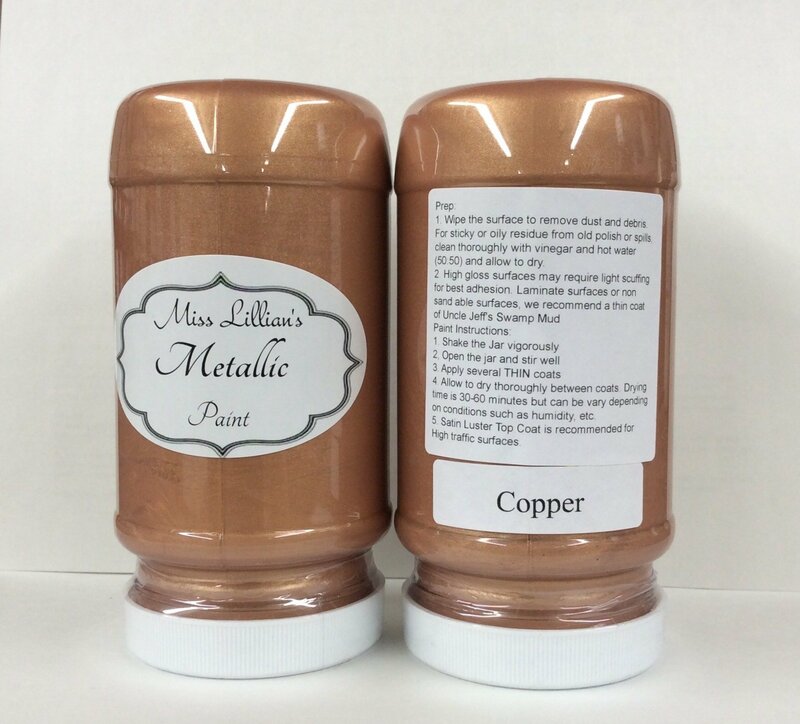 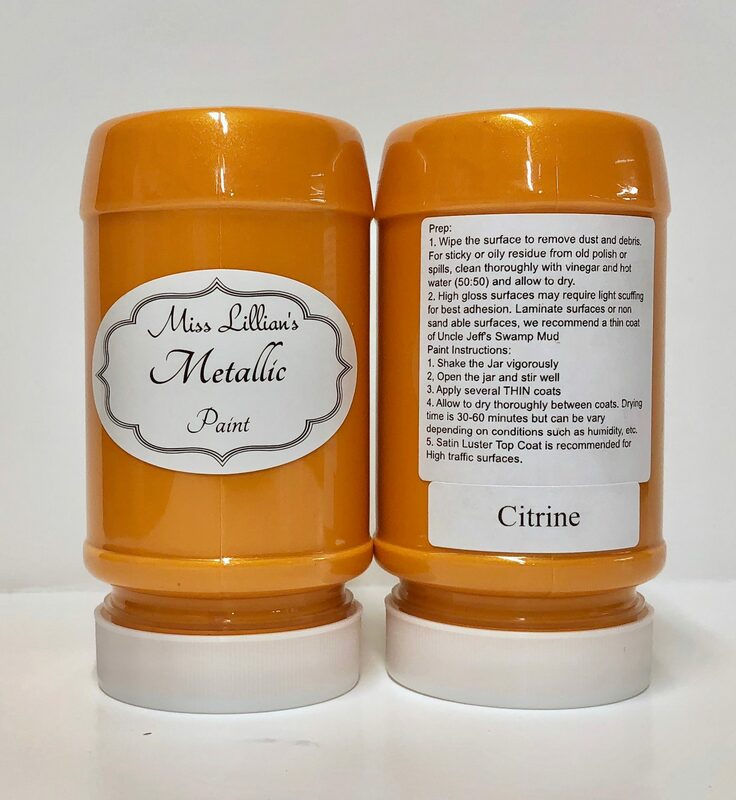 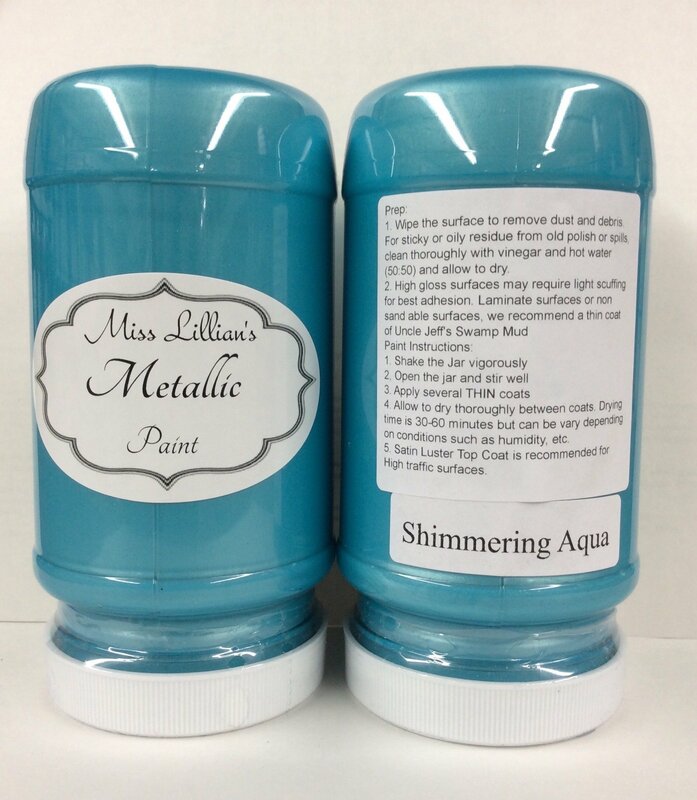 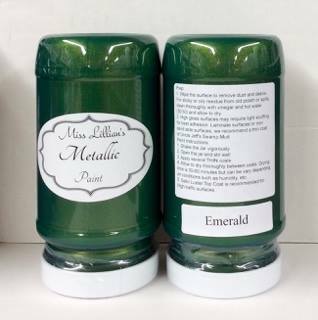 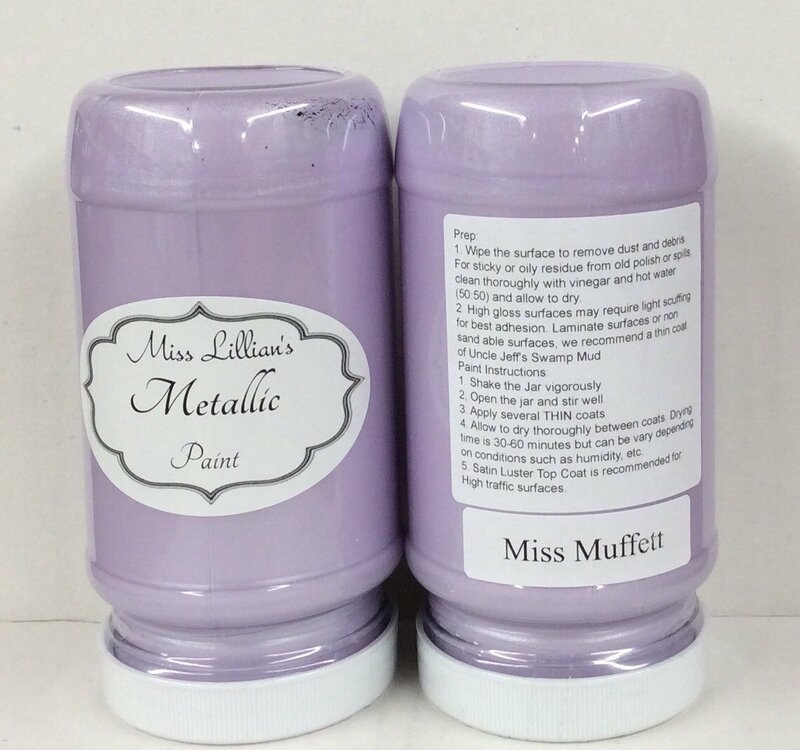 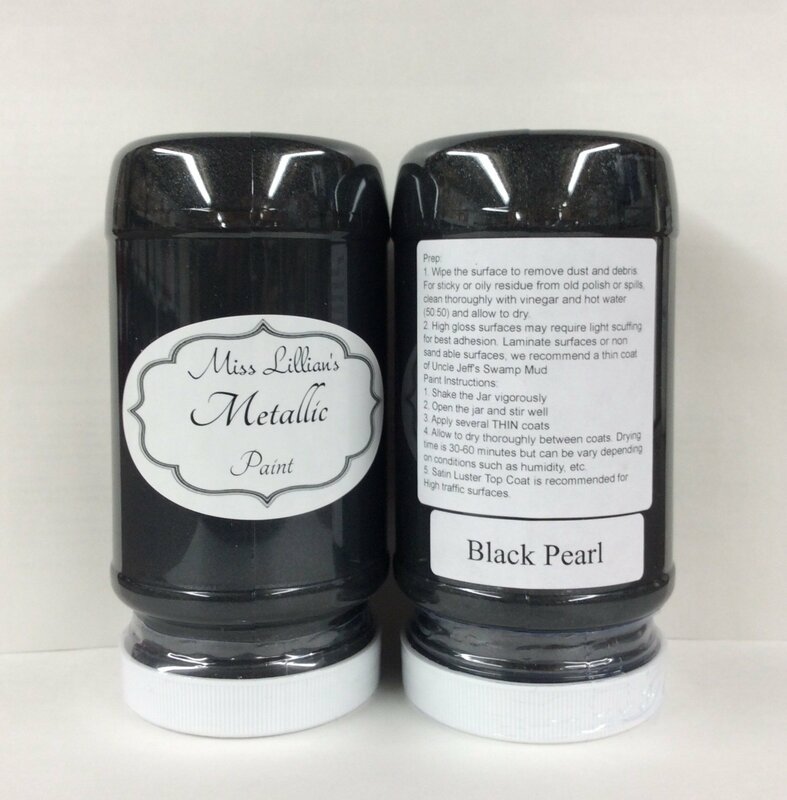 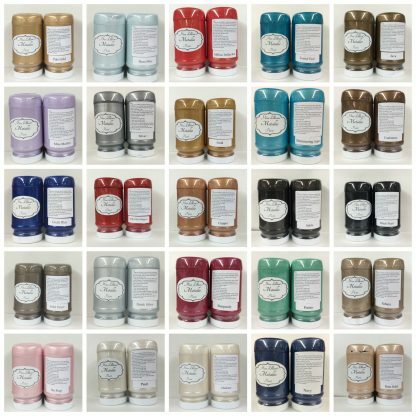 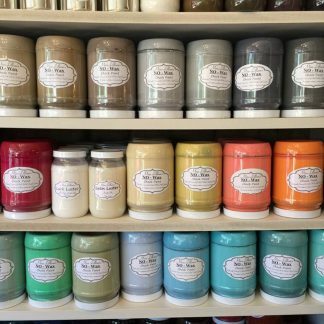 Miss Lillian’s Metallic Paints are Beautiful, Shimmering Paint Colors ranging from Translucent to Opaque that will take any Project from Ordinary to EXTRAORDINARY! 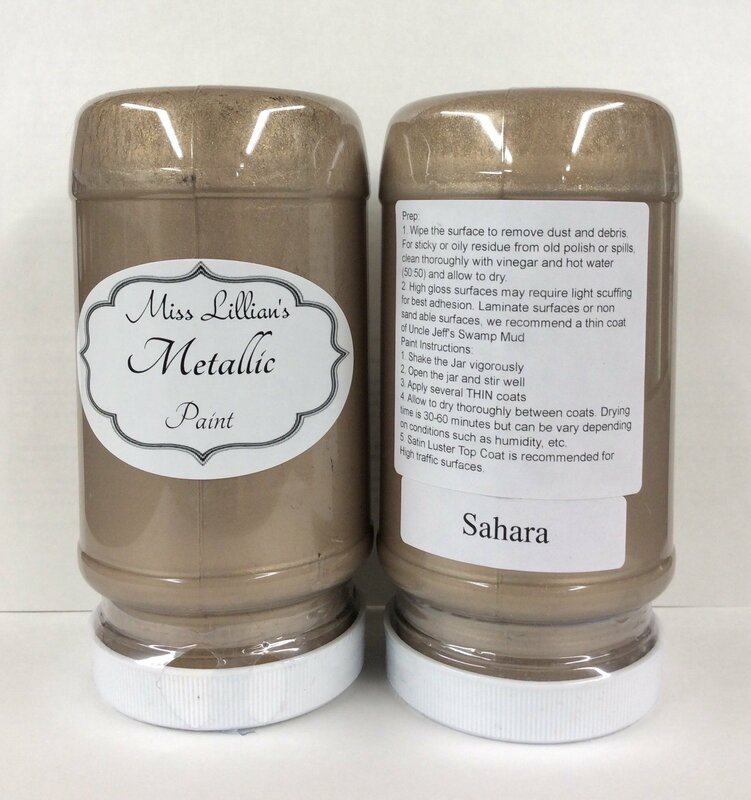 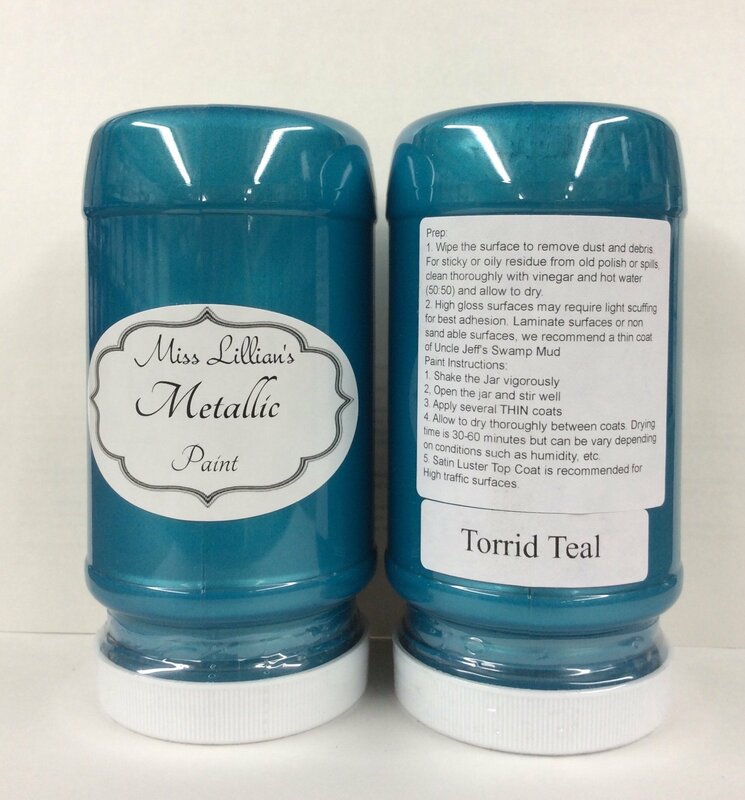 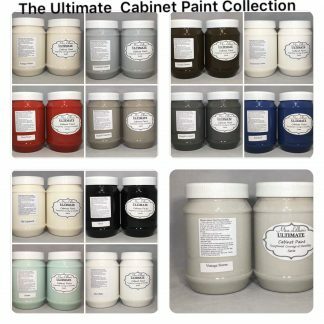 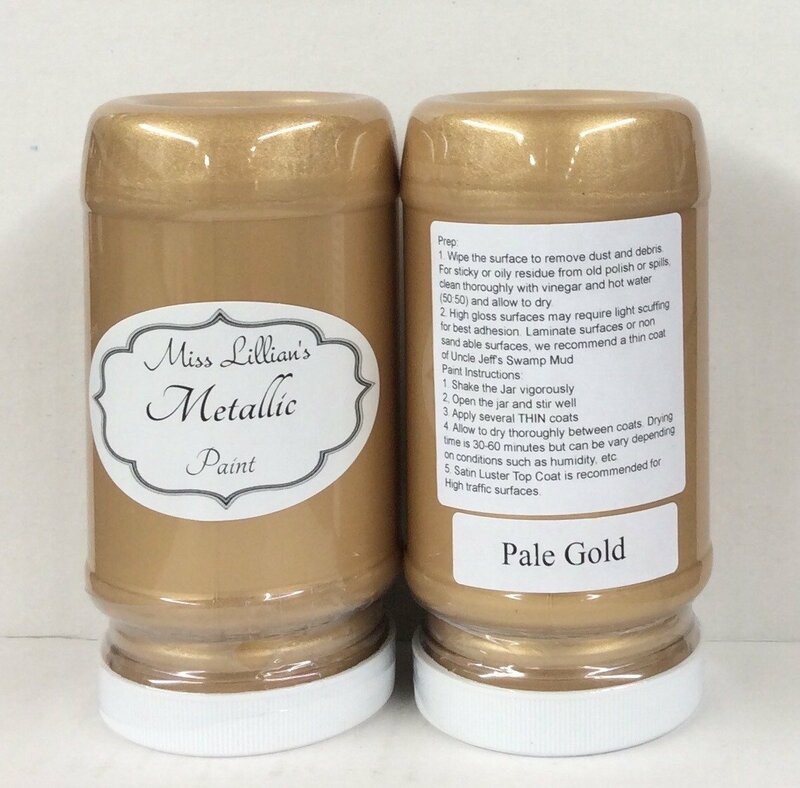 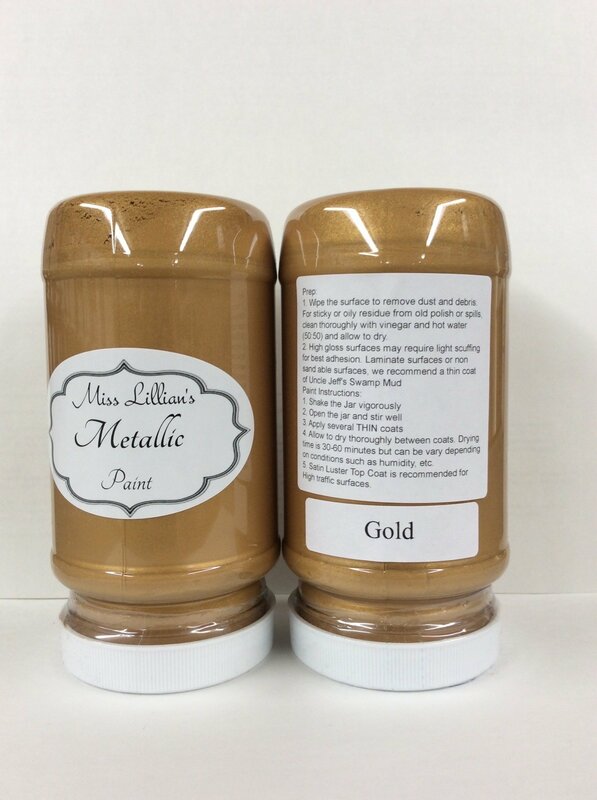 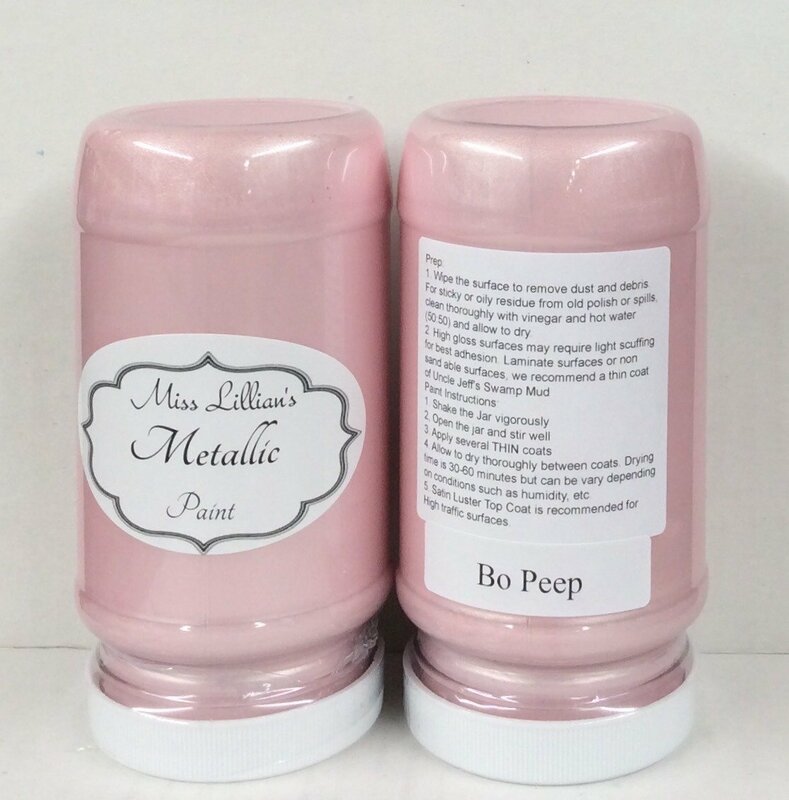 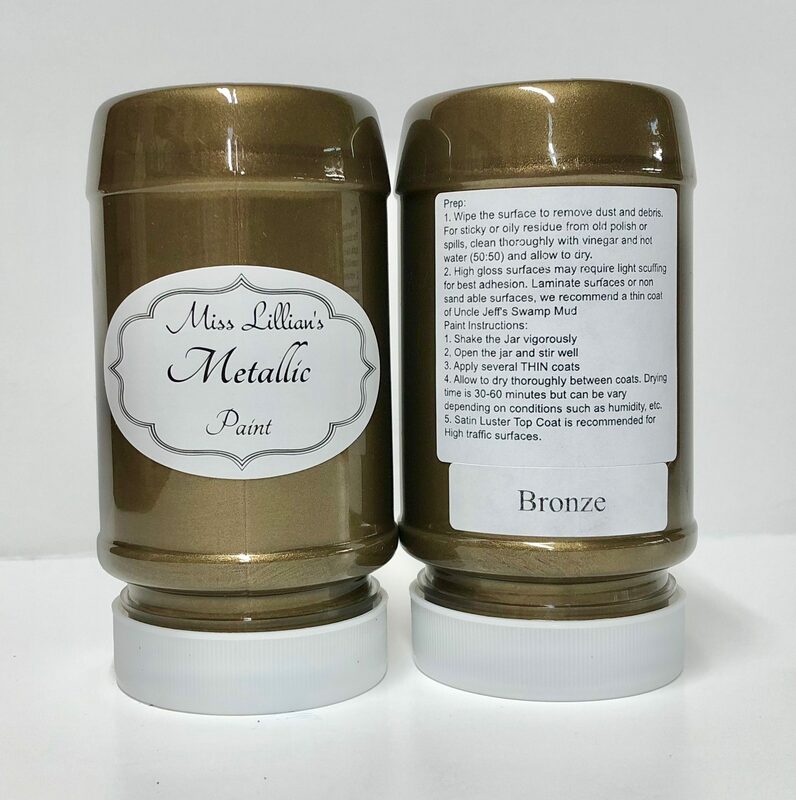 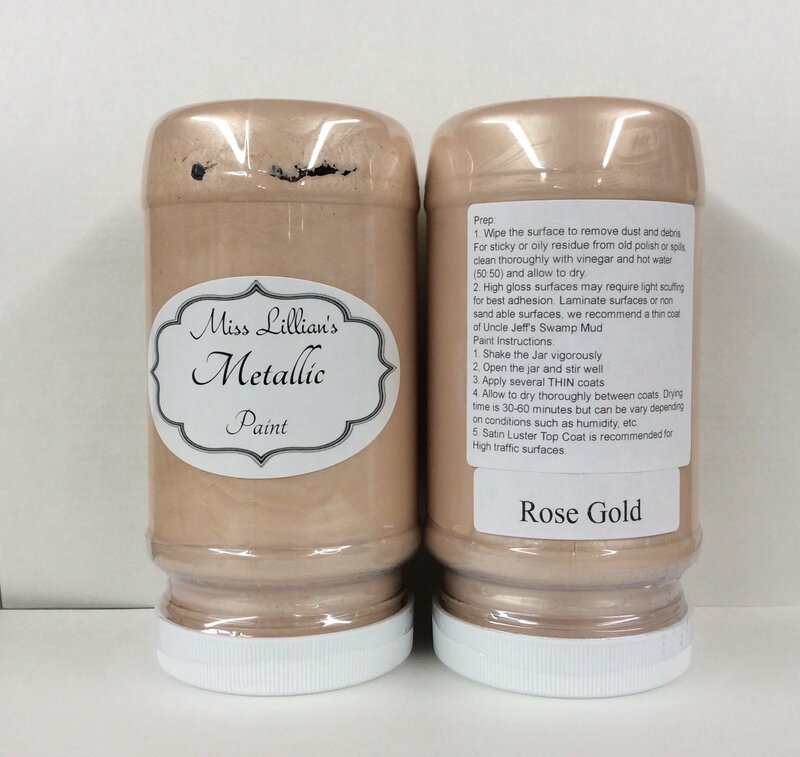 Our Metallic Paint Colors were developed to be used as either a Standalone Paint or in conjunction with our Miss Lillian’s NO WAX Chock Paint Colors. 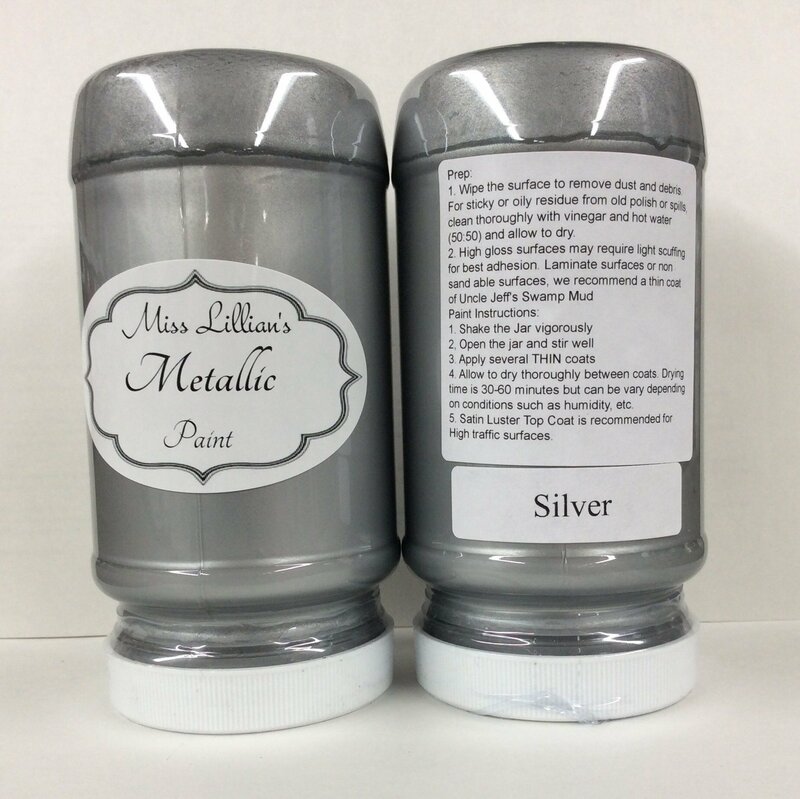 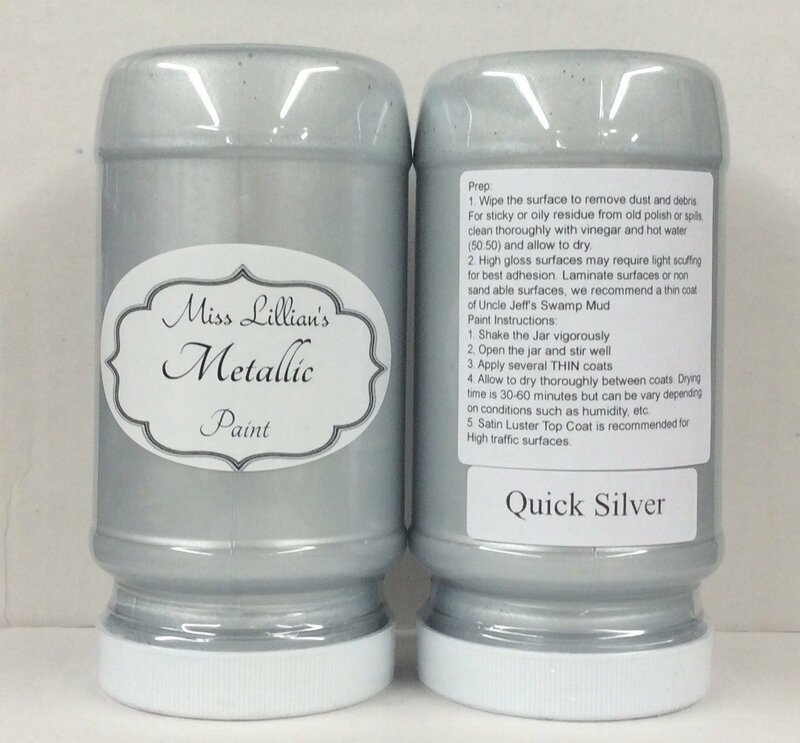 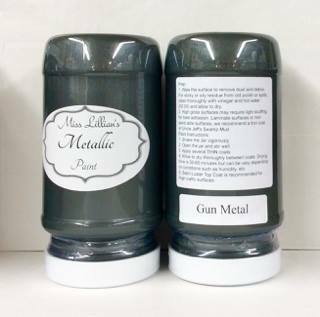 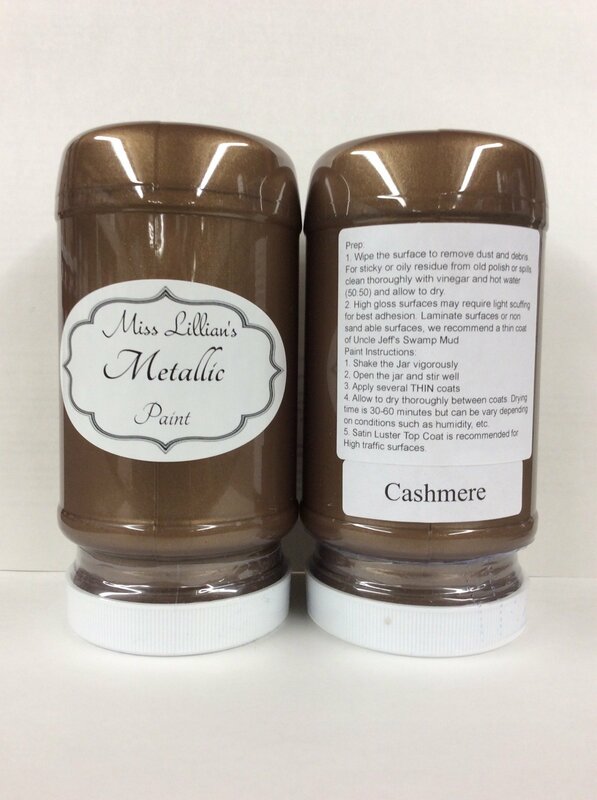 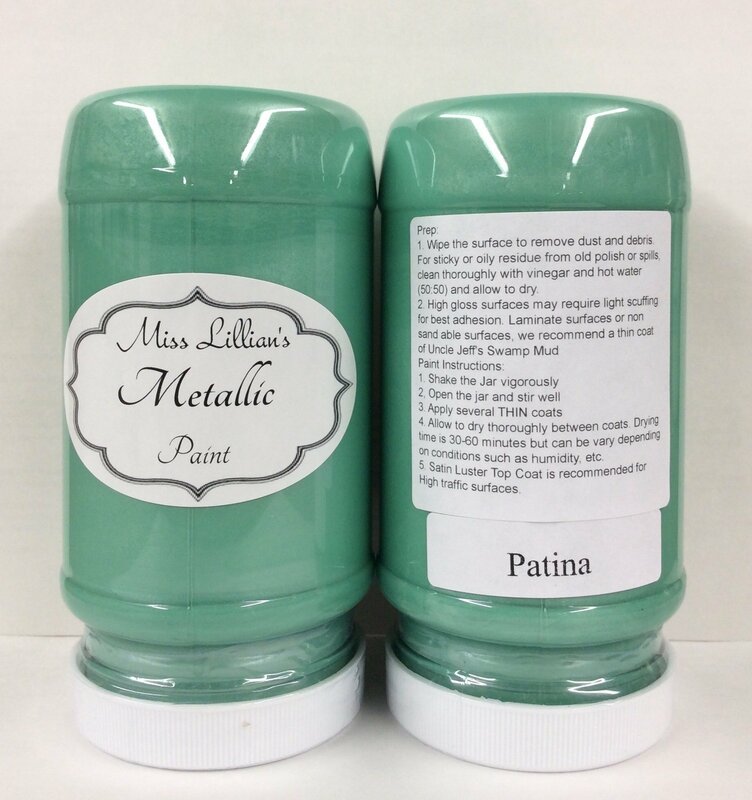 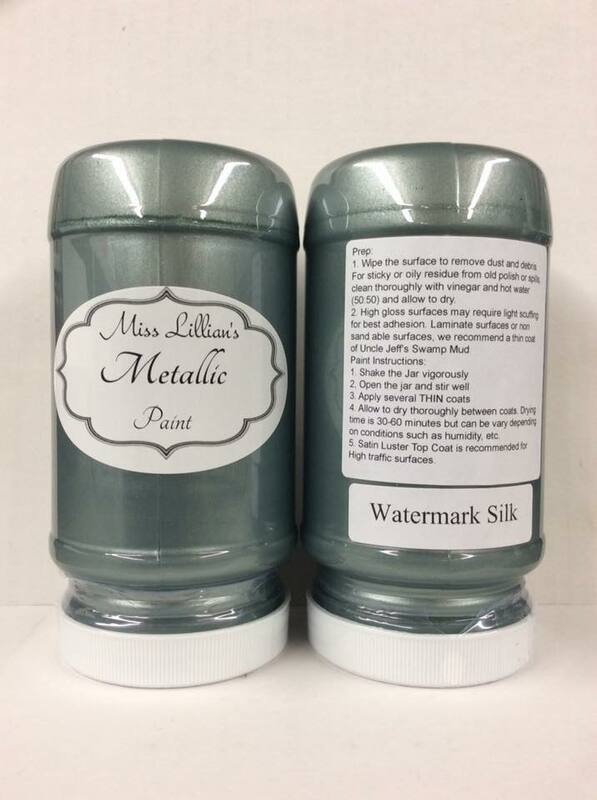 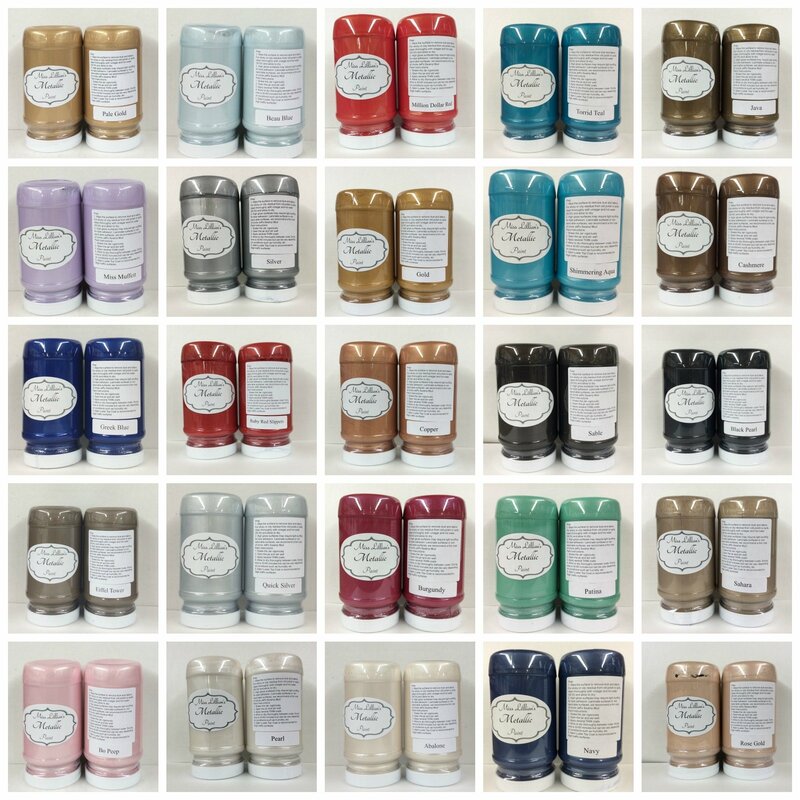 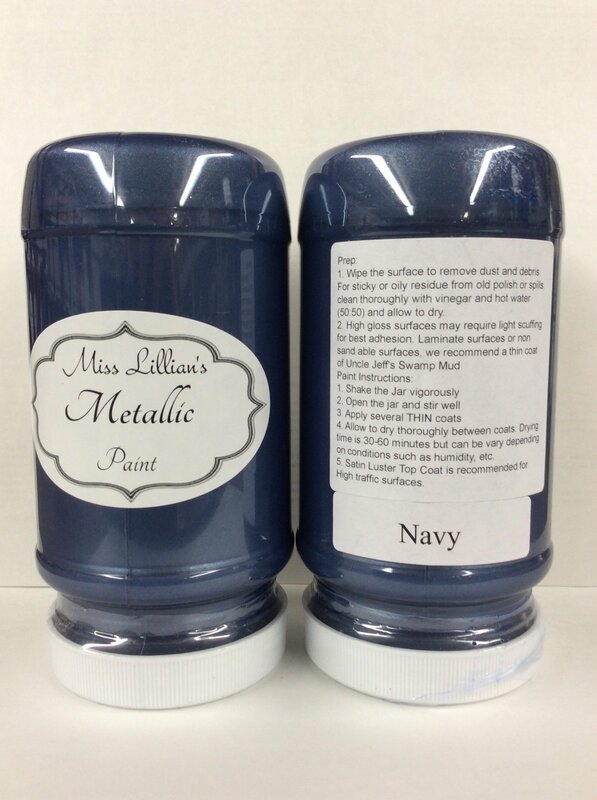 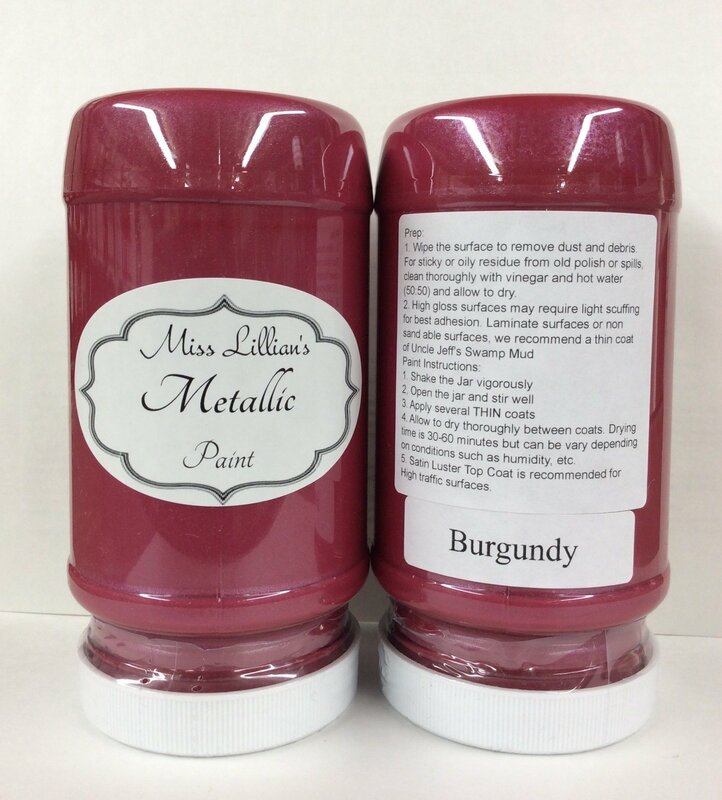 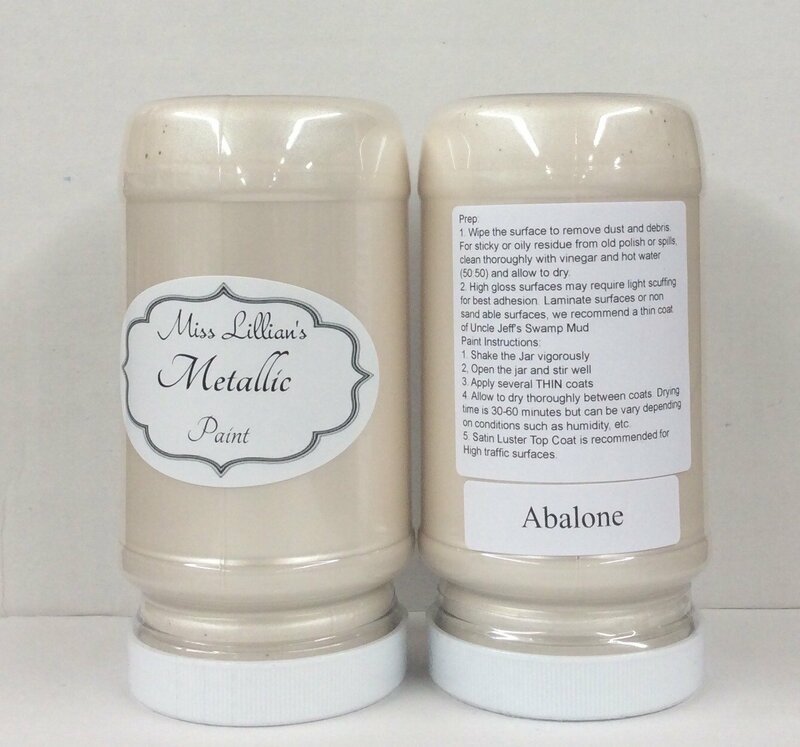 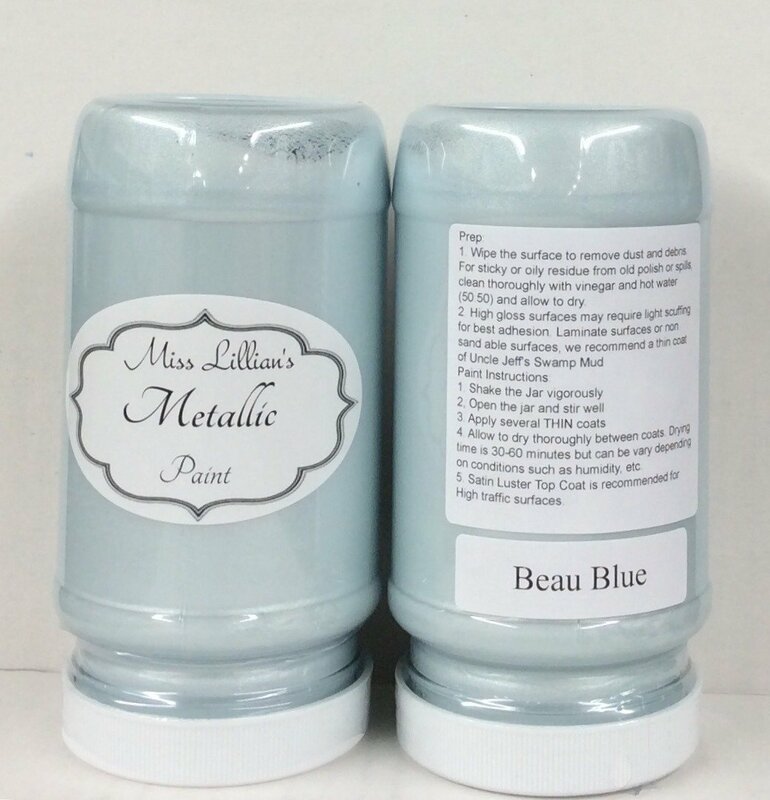 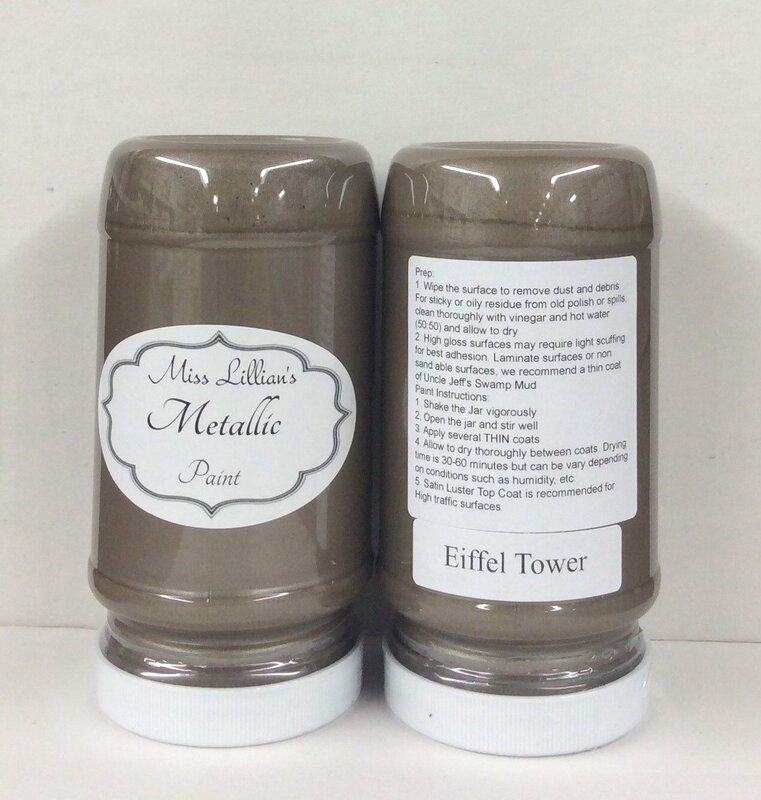 All Over or just as an Accent, Miss Lillian’s Metallic Paints are a MUST HAVE in your Paint Collection!